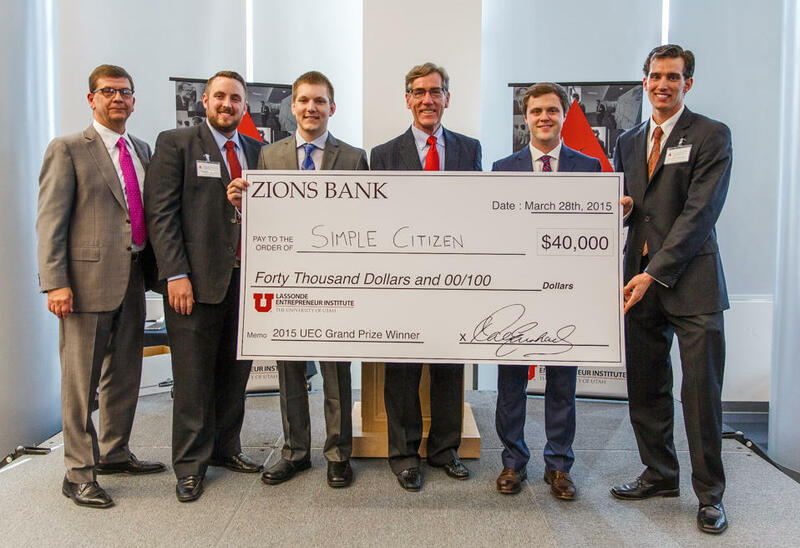 Sam Stoddard is a student at BYU and the co-founder and CEO of SimpleCitizen, the startup company that took the top prize. He says the idea came from a personal need when he and his wife decided it was time for her to get a green card. Stoddard says competing in and winning the challenge is critical to getting the website launched this summer. The grand prize was part of more than $100,000 dollars in cash and in-kind prizes awarded. The competition is run by students in the Lassonde Entrepreneur Institute at the University of Utah. Dane Money is the co-chair of the series of competitions that led up to the final on Saturday. “And all these competitions is helping students go from the ideology or the creation stage all the way to a full business plan,” says Money. He says judges had to find a winner in a field of more than 200 presenters from colleges and universities around the state. He says products and services touted by contestants included medical devices, skateboard decks and food products.